At IMAJ, we are specialized in the development and integration of solutions that seek to improve client experience. Thanks to digital signage, interactive applications, reception management, and project management, we have carried out over 850 installations since 2000. Our success rests on our experienced team’s skills as well as our robust and powerful technology. At IMAJ Groupe conseil we offer complete services to our clientele in order to meet their different technological needs. Since the human being is at the centre of our concerns, we are here to ensure that our clients’ experience is the best that it can be. The Desjardins Group is Canada’s number one cooperative financial group and the fifth largest in the world with over $254 billion in assets. It figures among the 50 Best Employers in Canada, according to Aon Hewitt rankings. The Desjardins caisses network has many diversified communication needs. To claim their rightful place in the financial sector, a highly competitive market with its own specificities and changing environment, the caisses needed to put the focus on its products and services and local involvement. To this end, the caisses have a variety of communication needs related to their sector, their client base and their local partners. The communication objective was to reach members and customers to promote Desjardins Group’s brand image, distinctive services and social and economic involvement. 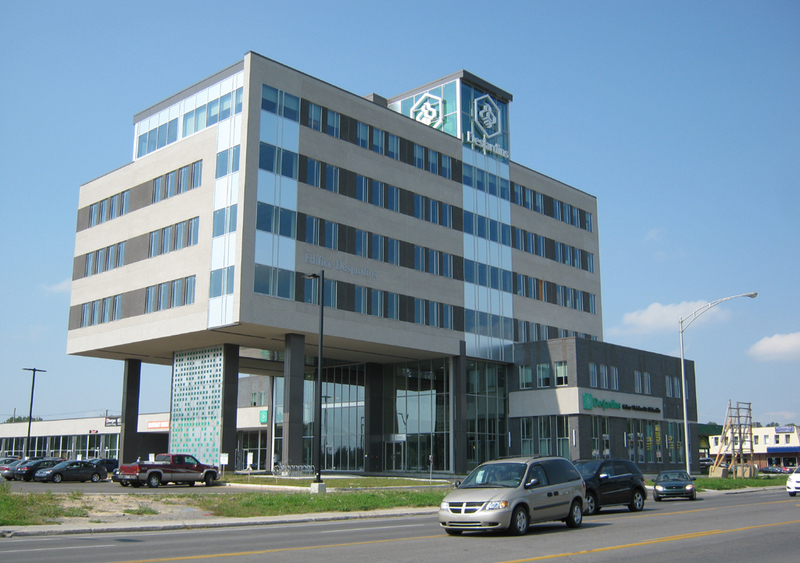 Imaj developed a unique and flexible solution for the Desjardins caisses, complete with integrated project management and consulting services. We also provided our clients with support related to screen positioning, integration design, hardware, equipment, installation, as well as online and onsite support. In addition to providing traditional dynamic displays, Imaj also offered interactive terminal solutions, a queue management system for members, publishing of content on the web and in social media networks, and display services for widescreen formats or videowall. The offering also included an array of media content services compliant with Desjardins’ corporate graphic standards. Our clients were now able to achieve their corporate and regional communication objectives. Furthermore, the multi-platform dynamic display solution proposed by Imaj offered interactive solutions for all types of mobile devices. It also included consulting services on technology integration, the development and design of support kits and the installation of equipment in a concept that was integrated into the client’s physical and technological environment. 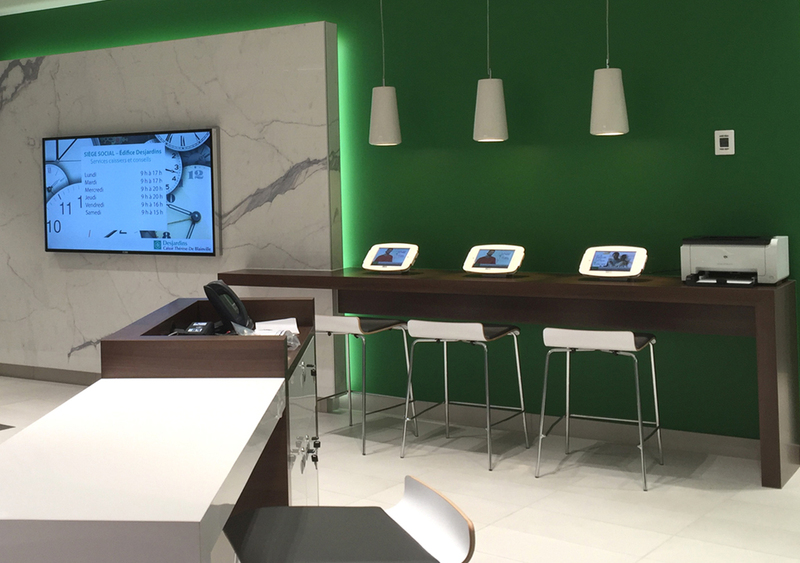 Since Desjardins caisses’ waiting areas needed a queue management system, Imaj’s solution included waiting line management, dynamic screen display and entertainment content (video or RSS news feeds, weather, etc.). Imaj offered a solution that included development, implementation and communication. 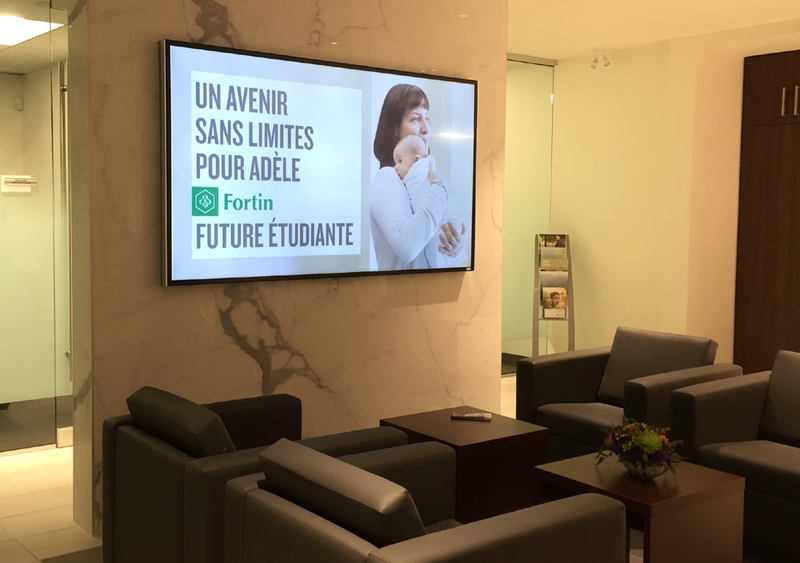 Different caisses like Caisse Desjardins Thérèse-De Blainville were now able to benefit from a customized solution and the most comprehensive and flexible service available on the market. Imaj’s products and solutions are available at over 500 of the cooperative financial group’s locations. Since 2003, Imaj has offered the Caisses a number of services in partnership with Desjardin’s corporate services. 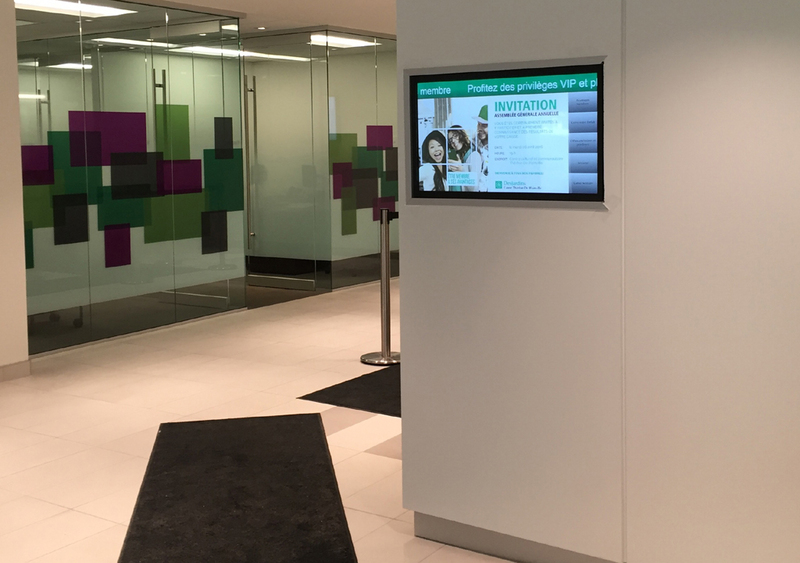 The solutions provided by Imaj (IMAJ Diffusion, IMAJ Interactive, IMAJ Experience) enable Desjardins caisses to communicate with their members and customers outside its offices. Using the powerful reach of the web, the IMAJ Interactive solution makes it possible to measure audiences. The current trend in financial services is leading to the use of personalized virtual solutions. 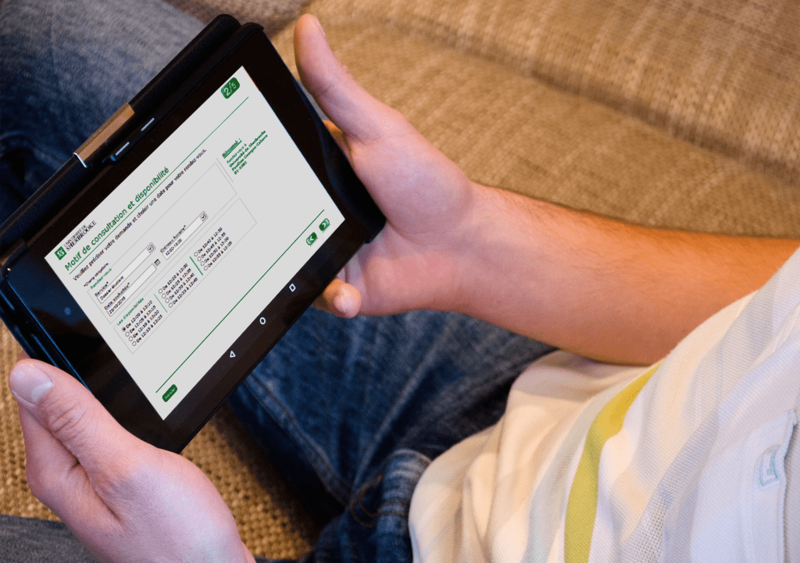 The queue management system helps to improve this aspect for Desjardins caisses and customers, while reducing the cooperative’s costs. The Université de Sherbrooke welcomes over 40,000 students from more than 100 different countries. The university offers over 395 education programs and has 108 recognized chairs, institutes and research centres. It also comprises several pavilions across three campuses. 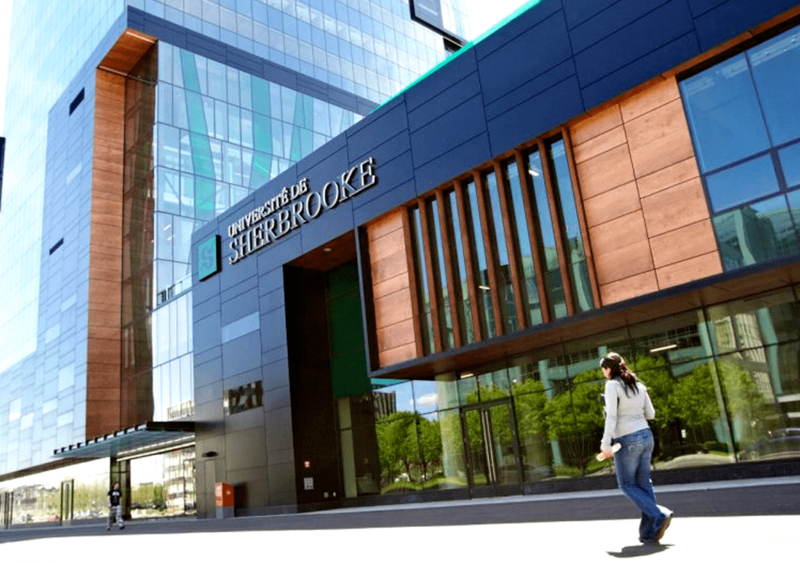 The Université de Sherbrooke needed state-of-the-art management technology to improve the experience of its clientele. Since traditional broadcasting tools were no longer meeting its needs, the university was looking for an innovative technology to manage the services to its clientele while respecting its new communication strategy. We proposed an ideal solution for meeting the university’s highly technology-focused communication needs. 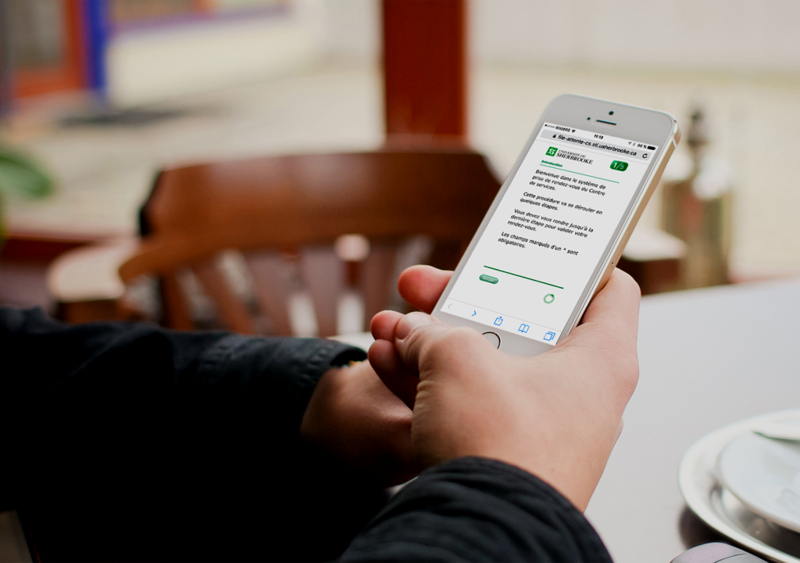 The aim was to make it possible for the Université de Sherbrooke to reach the members of its community anytime, anywhere. After careful analysis of the products and solutions available on the market, the university decided to work with Imaj. 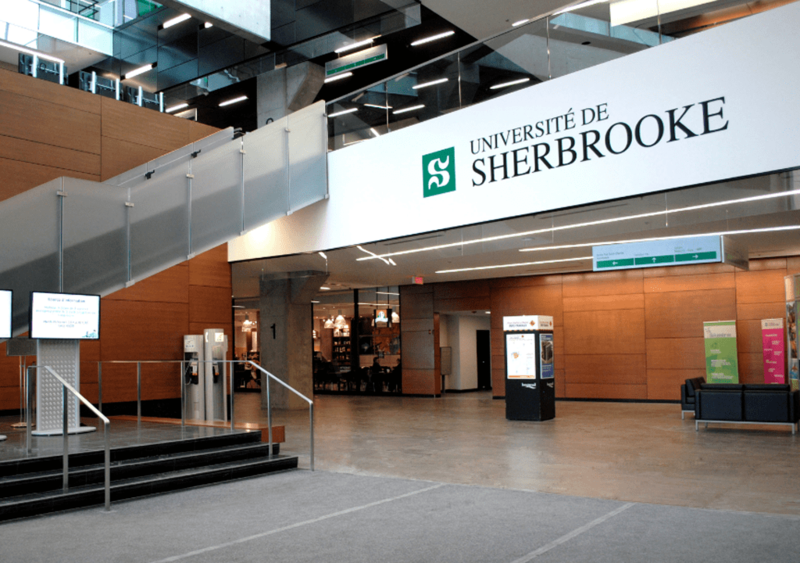 Imaj integrated the IMAJ Experience solution into the Université de Sherbrooke’s registrar’s office. The solution includes a queue management system and a dynamic multi-network display system. The dynamic display system allows for the distribution of strategically targeted messages broadcasted on screens at the university as well as on its website and on mobile devices. Additionally, students can make appointments to meet with an administrative service advisor online. The communications departments can create, manage and broadcast content via the SMI platform across the entire display broadcasting network and on all web interfaces. With its queue management system, the IMAJ Experience solution made it possible to avoid expanding the traditional waiting areas. The newly implemented dynamic queue management system helped to maximize current resources, leading to substantial savings. 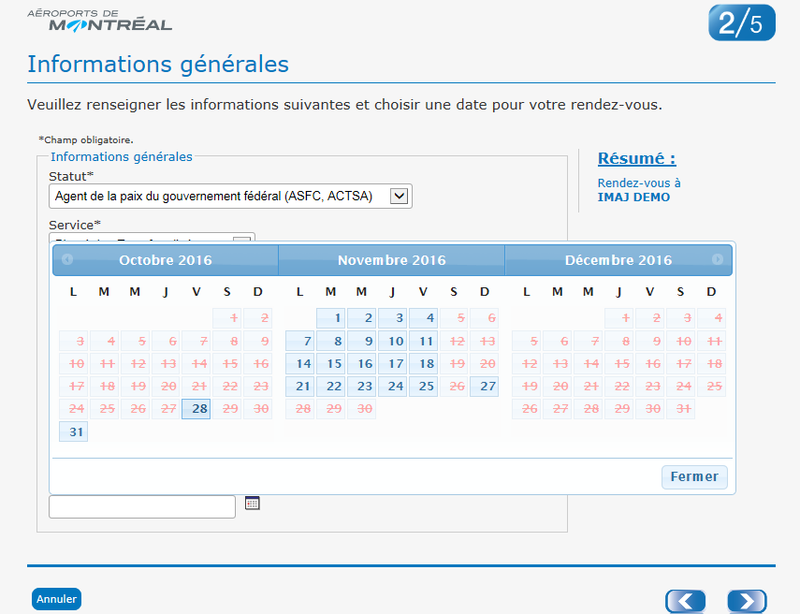 Today, over 40% of visitors make appointments online to meet with administrative service advisors at the Université de Sherbrooke. 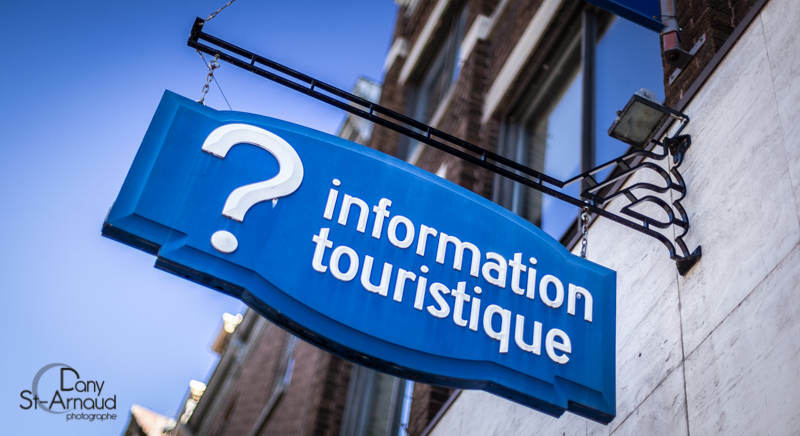 The Ministry of Tourism welcomes and informs visitors in its five Infotourism centers (Montreal, Quebec, Rigaud, Riviere-Beaudette and Degelis). At these locations, tourists visiting the province can pick up information about things to do, accommodations and tourist attractions in Quebec. Tourism is a lucrative industry for the province of Quebec. In 2017, tourism receipts in Quebec were 15,1 GS. More than 32 415 companies are involved in the growth of this industry, creating 396 400 jobs. 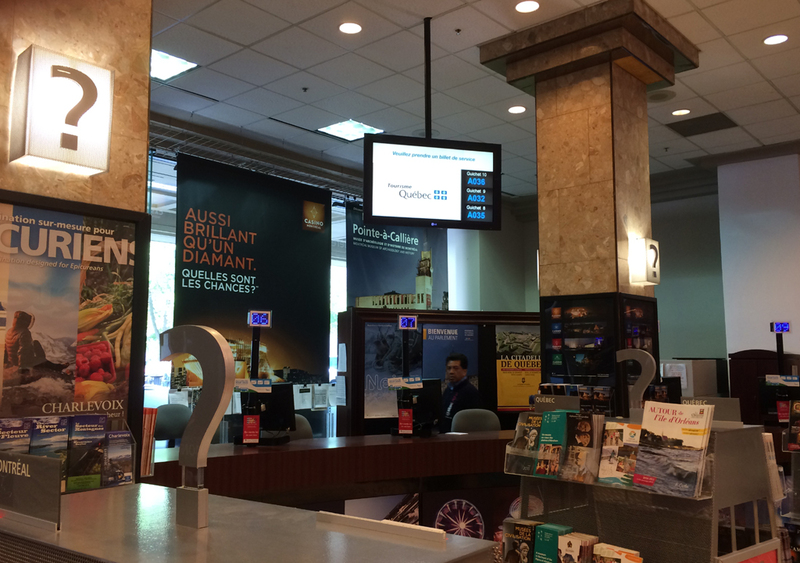 For Tourisme Quebec and its Infotourist Centers, we needed to find a hospitality management and communication solution for the Montreal and Quebec City offices. The Montreal location has 14 agents and Quebec City has 13. The objective was to put in place technologies that would improve the queuing and reception process, offer effective solutions for communicating marketing messages and maximize operating costs. Imaj integrated its IMAJ Experience solution into the client’s corporate network. This included a queue management system and a dynamic multi-network display system, which allows information to be shown on hospitality screens and tourism call screens. The dynamic display system permits the display of weather information, RSS feeds and corporate videos on screens in tourist offices and on virtual terminals, creating an extensive broadcasting network. Furthermore, Tourisme Quebec’s service contract also included a support plan offered by Imaj. Employees in the network were now able to manage the new technologies at their disposal entirely on their own. 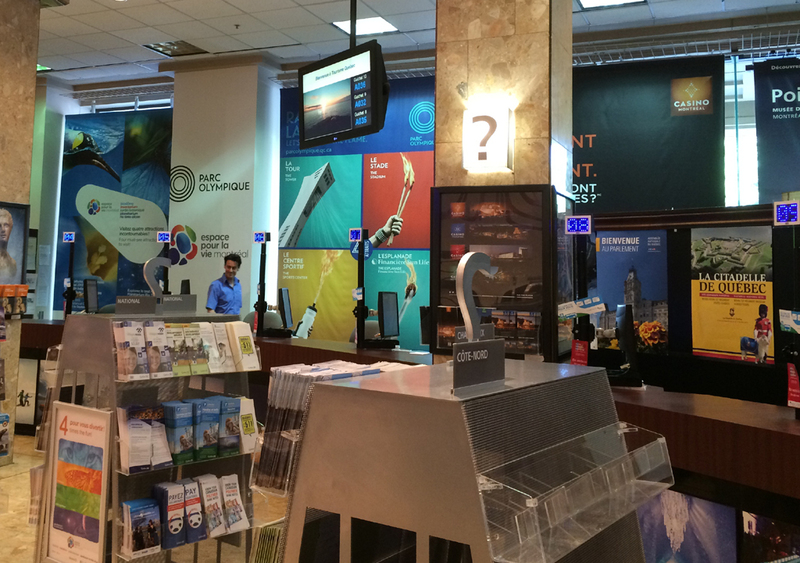 The IMAJ Experience solution helped Tourisme Quebec to improve the reception/queue process (visitor management) and the quality of the tourist experience. 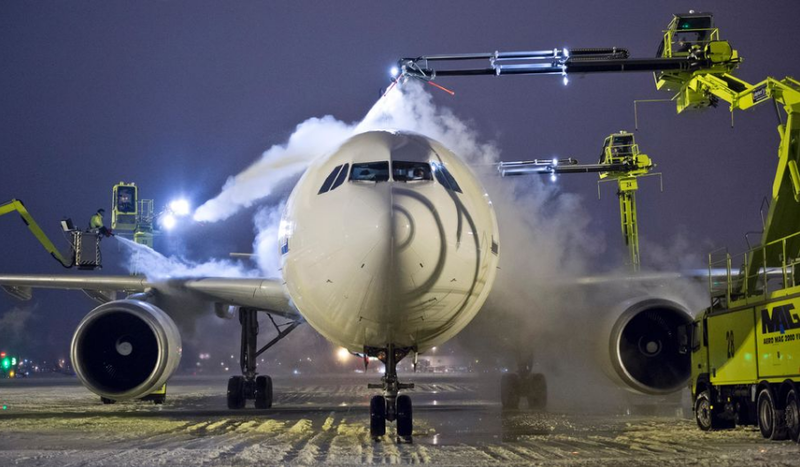 30 passenger carriers and 20 all-cargo companies connect Montreal to many airports around the world. In 2014, over 14.8 million passengers and 165,400 tons of cargo transited through the airport facilities of Montreal (Trudeau and Mirabel). The Administration and Permits Office (APO) manages the various security components for access to the restricted area, as well as Airside Vehicle Operator’s Permits. APO activities continue to grow to ensure the management of permits for all airport operation employees. 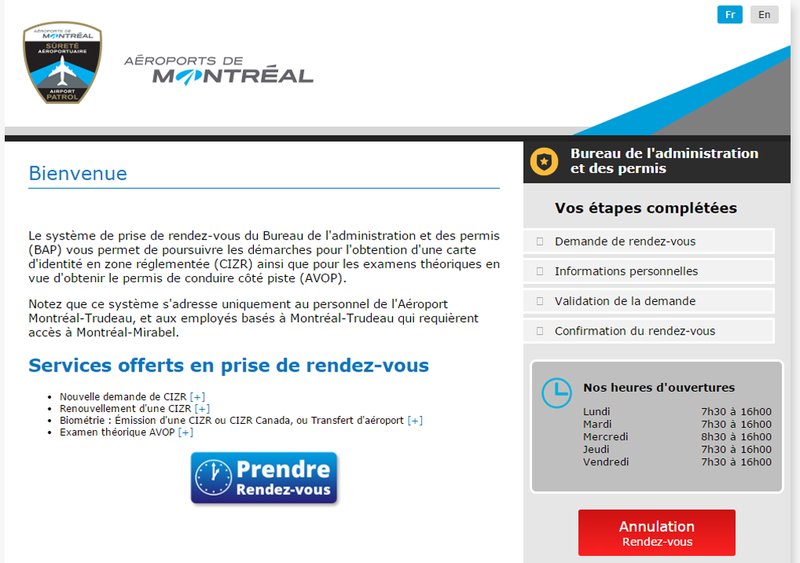 The IT department of Aéroports de Montréal needed to implement new queue management tools to meet the growing activities of the APO. The daily volume of inquiries from employees was causing major wait times and financial losses for all airport activities. Considering the size of the site, the technology chosen needed to permit integration of SMS communications via mobile as well interaction with visitors in order to reduce wait times and travel during the customer flow process. Furthermore, the technology needed to meet the airport network’s standards in terms of technology installation and the implementation of QA and production servers. 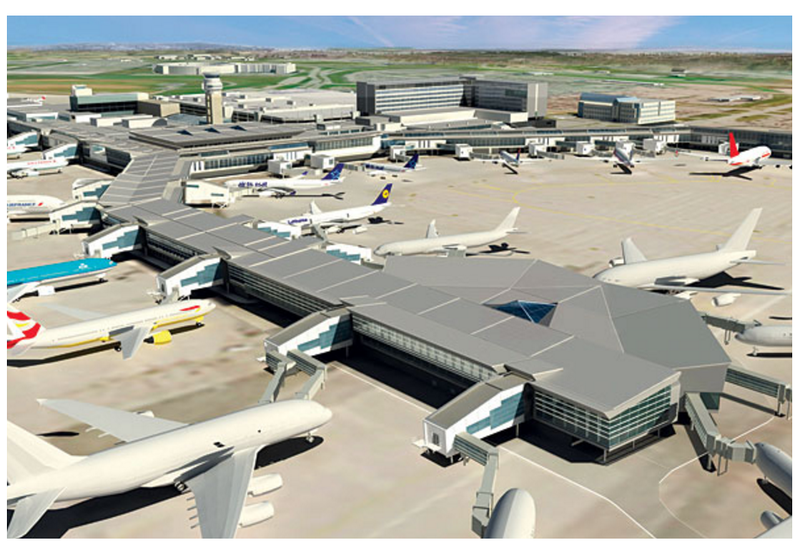 Following a market analysis, the airport’s IT department chose to work with Imaj. The Imaj360 solution was customized to meet their needs. The IMAJ Experience was therefore implemented. It includes a personalized queue management system that offers a new process for maximizing the activities of the Administration and Permits Office step by step. Analysis and observation of their work methods helped identify areas needing improvement so as to implement a system for scheduling appointments online and taking customer calls via SMS. The IMAJ Experience solution helped cut financial losses related to wait times and travel with no added value. The new queue management system helped to maximize existing resources while increasing the number of requests processed.